Besides the pleasure of cooking, the end result matters the most. 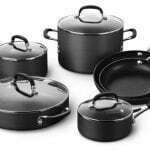 The Duxtop Whole-Clad Tri-Ply Stainless Steel Induction Ready Premium Cookware 10-Pc Set was conceived especially for long-term usage and it is also optimized for making your cooking experiences easier. 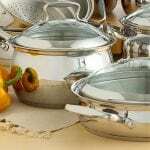 A quality set of cookware matters a lot even if you are cooking just for yourself or for the entire family. You can spoil yourself and your dear ones without making any extra efforts by choosing this stainless steel cookware set. 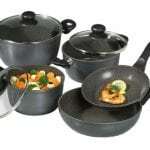 The entire cooking process is more relaxed and stress-free when using the fry pans, the saute pans or the sauce pans included in this set. 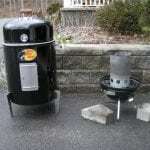 Every piece features the Whole-Clad Tri-Ply Stainless Steel construction. This construction type is basically the secret of the effectiveness offered by this set. The bottom and the side walls of every piece reach the same temperature and maintain it for as long as you need it. Thus, the formation of hot spots is completely avoided. Aluminum is the wonder-metal that makes this uniformity possible. The stainless steel and the bonding technique used for encapsulating the aluminum also contribute to the durability in time of these pieces. 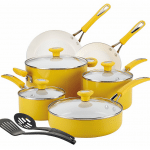 Each and every component of this set will make your kitchen look more chic and you will feel better about your cooking skills once you start using them. Secura is the mother company that imports and distributes the Duxtop products. Secura is a company that produces major household appliances, but they have partnered with Duxtop because they wanted to enlarge their offer and, at the same time, because the cookware distributed by them is of high standards at it completes their range of kitchen products. Secura also produces fitness equipment and utilities for garden. They focus on delivering affordable products, which are easy to use and maintain. Secura sells its products in USA and Canada and, so far, they have sold over 8 million units, making over 8 million customers happy. 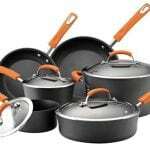 Standard and non-standard sizes – This cookware set does include 2 and 3-quart sauce pans and 8” and 10” fry pans, which are pretty standard, but it also includes a 6.5-quart saucepot, which is not as huge as the 8-quart ones, but it is big enough for cooking in large quantities. The size of the saute pan is different from the standard sets as well. Clean and sanitary look – Every piece looks professional and it shines because of the mirror-finished and brushed surfaces. Whole-Clad Tri-Ply Stainless Steel construction – Makes cooking faster, easier and more delicious. Riveted handles – Ensure an ideal grip and stay cool. Not perfected for induction – The pots and pans are not fully optimized for induction usage. 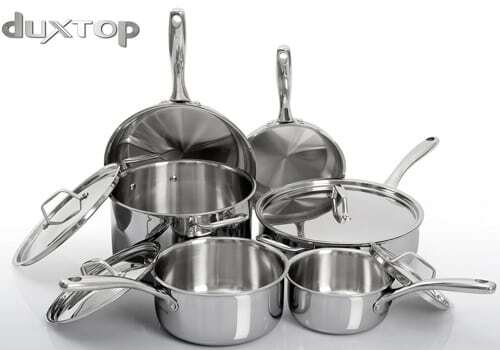 The Duxtop Whole-Clad Tri-Ply Stainless Steel Induction Ready Premium Cookware 10-Pc Set is a pretty straight-forward set. It is diversified so that it meets your exact needs and it is constructed so that it saves time and it cooks the end product perfectly. The Whole-Clad Tri-Ply Stainless Steel construction is its most important characteristic.